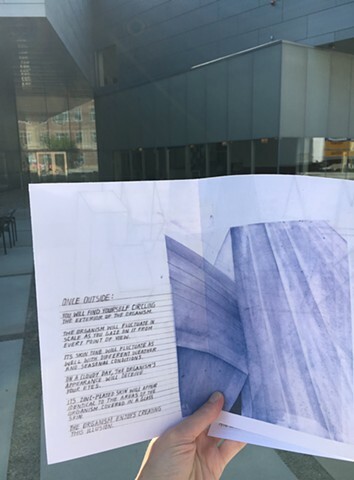 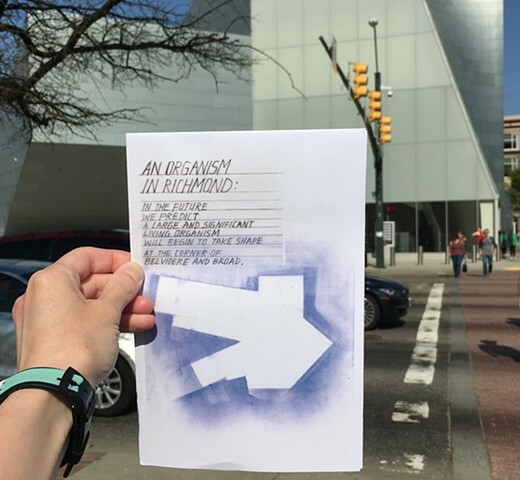 The idiosyncratic visitor’s guide functions as a hand-held, fold-out walking map to the ICA, a new building designed by architect Steven Holl and his team. 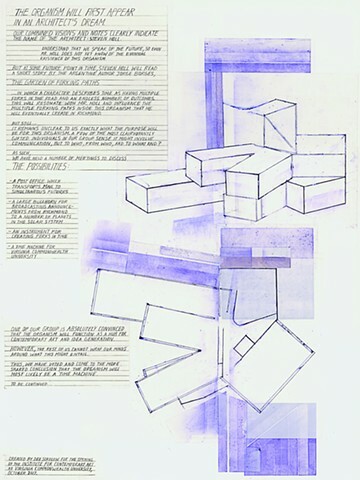 Holl took inspiration for the building from The Garden of Forking Paths, a short existential detective story by Jorge Luis Borges. 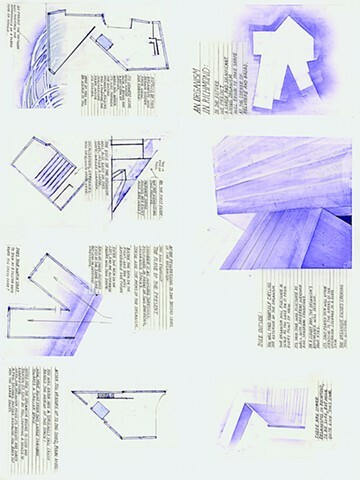 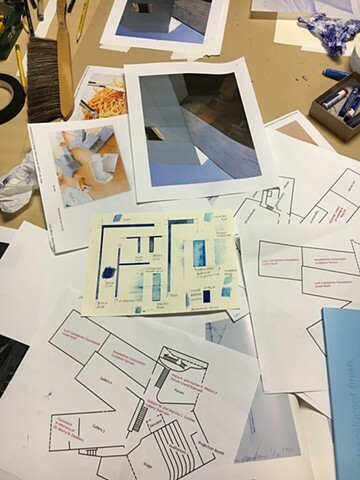 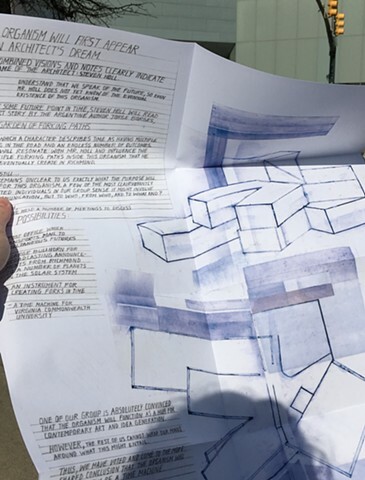 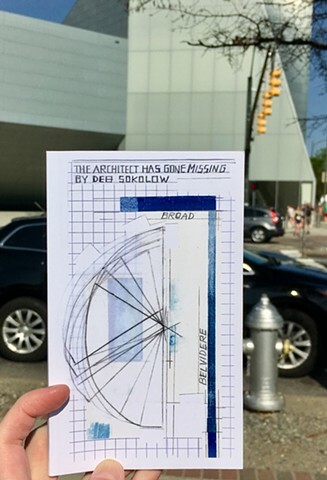 The publication features speculative floor plans and captions narrated by an anonymous group of individuals who predict the shape of a mysterious building and imagine several scenarios as to what its interior might hold, floor by floor. 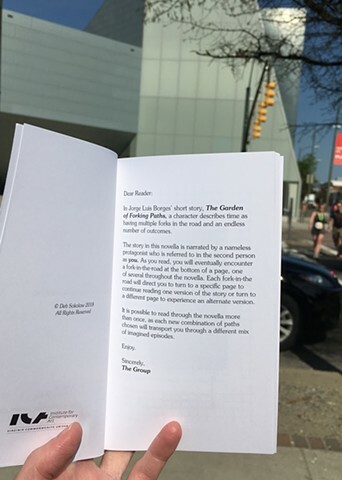 The novella functions as a non-linear mystery which includes several narrative forks-in-the-road for a reader to choose, inspired by Borges’ concept of forking time. 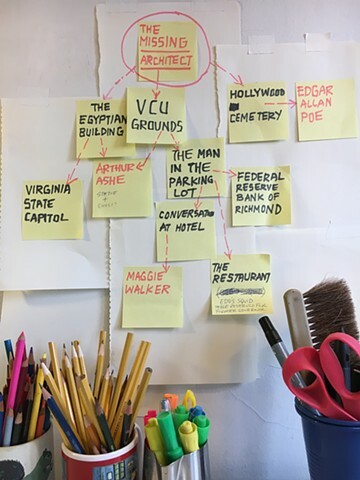 Each combination of paths chosen will transport a reader through a different mix of imagined episodes relating to the ICA and its building site as well as Richmond’s past, present and future.